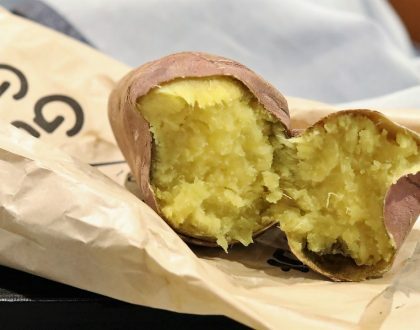 [Updated] Tuk Tuk Cha has been converted to “Siamese Cat” at both Suntec City and Novena branches. 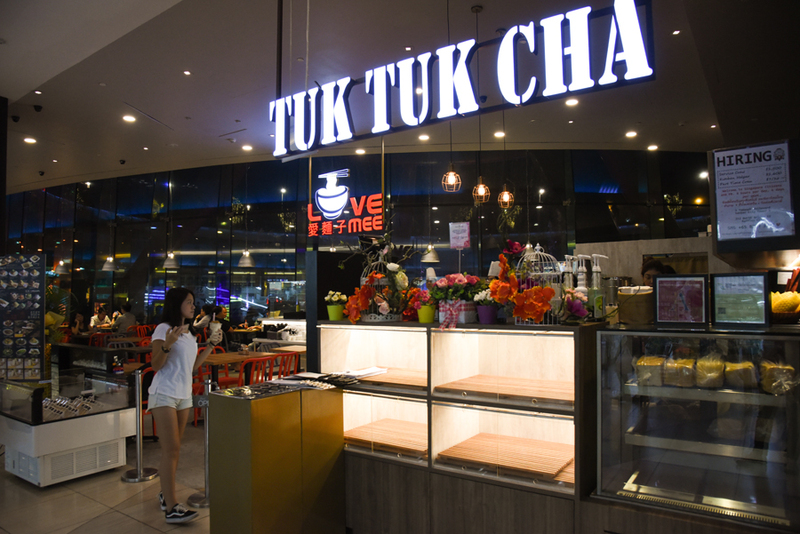 The rest (Raffles City, Sun Plaza, Tampines 1, Junction 8, Jurong Point, [email protected], Waterway Point, NEX, Hillion Mall, Bugis Junction, Harbourfront Centre oulets) remains as Tuk Tuk Cha. 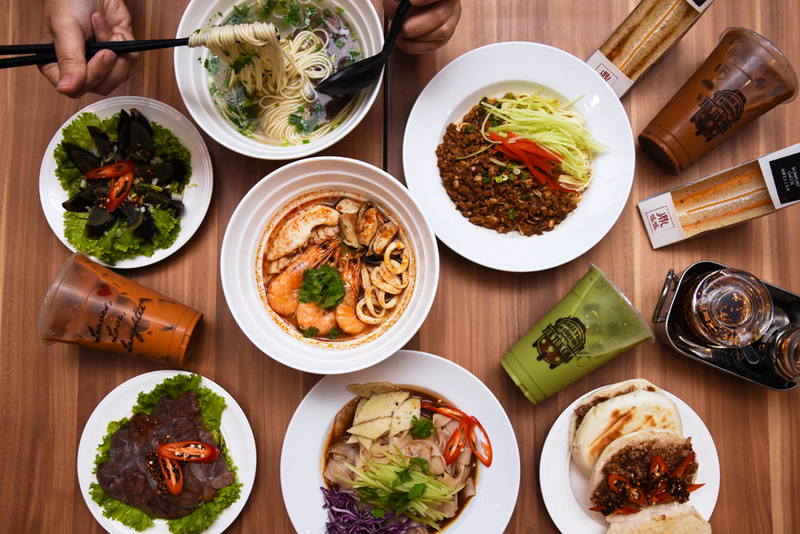 While most of the outlets are mainly for takeaways, the Suntec outlet (previously at level 2 had shifted to Basement 1, showcasing a more comprehensive menu from mains (Chinese La Mian) to desserts (Shibuya Toast) to drinks (Thai Milk Tea). What? Eating Chinese La Mian with my Thai Milk Tea. Where did that come from? 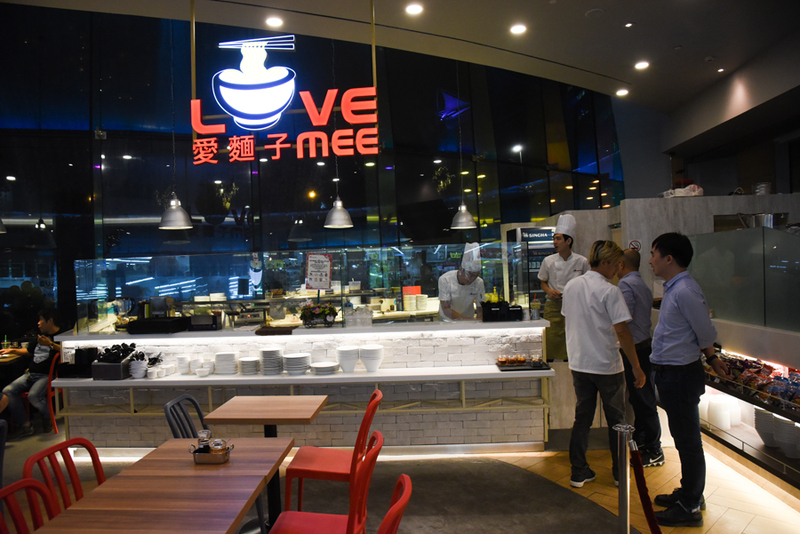 This is the first collaboration between Love Mee with their Chinese La Mian (noodles) and Tua Tuk Cha’s Thai Milk Tea and desserts. 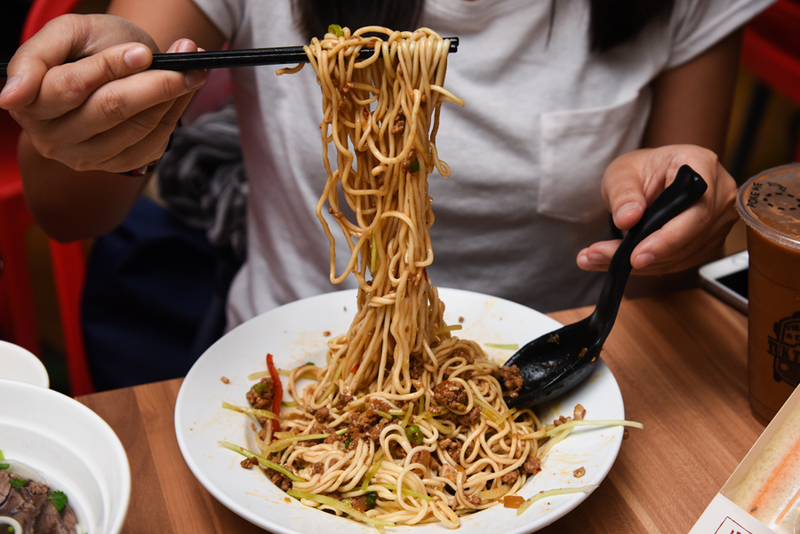 The La Mian selection includes a total of 9 dishes priced between $5.80 and $10.80. 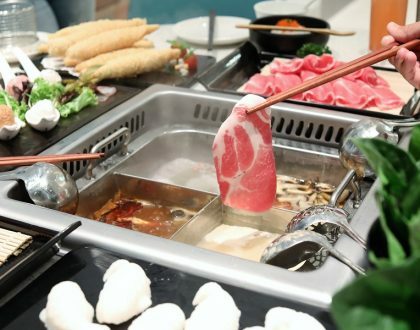 For the recommended dishes, they are mostly fusion of Thai and Chinese flavours – Tom Yum Seafood La Mian ($10.80), Claypot Mee Sua ($8.80) with a choice of Mala or Hot & Sour and Beef La Mian ($7.80). 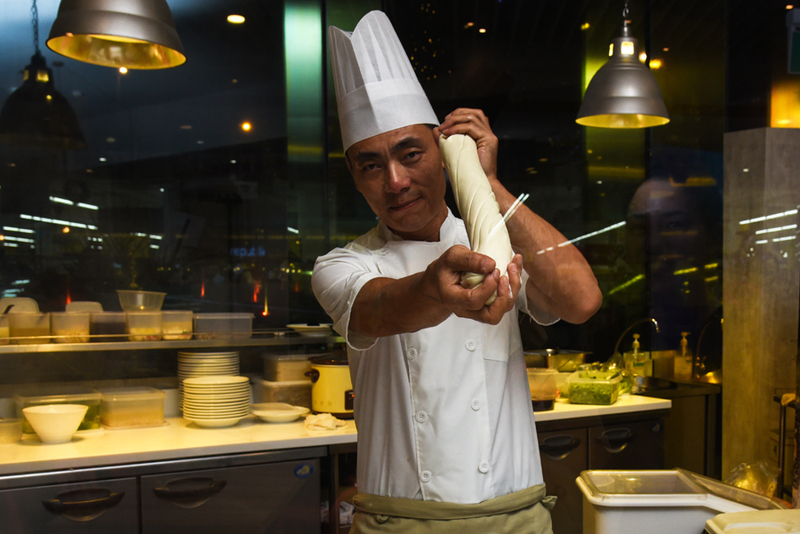 Widely known as Lan Zhou La Mian (hand-pulled noodles), the noodles are freshly made and prepared in their open concept kitchen by Chef Liu, who had 16 years of experience working in Crystal Jade Singapore. “Piak Piak” the startling sound echo-ed throughout the shopping mall as Chef Liu prepared the dough and pulled each noodle strand by strand. Our favourite was the Beef La Mian ($7.80), a common dish in China. The clear soup made with beef shank, spices and coriander was light and refreshing, which did not over-power and complemented well with the springy, al-dente noodle (the highlight of the dish). 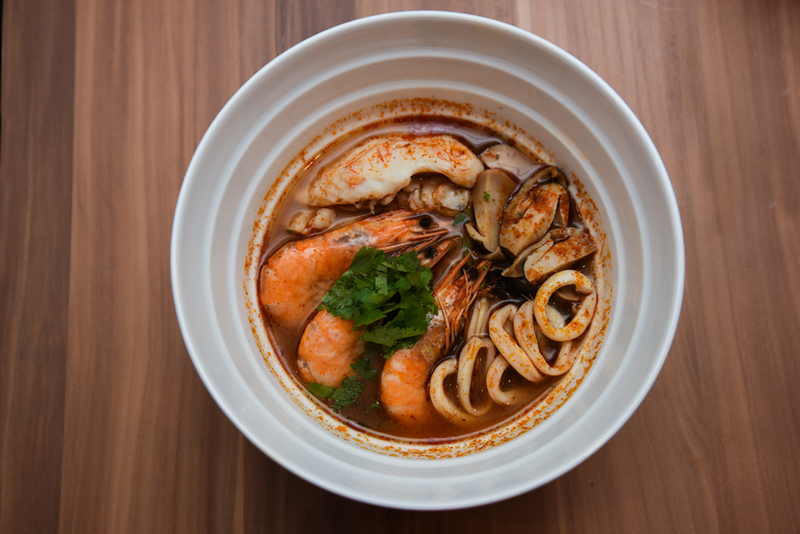 While the Tom Yum Seafood La Mian ($10.80) might sound quirky with the choice of noodle used, the tom yum flavour leaned towards the spicy profile. Not the type of tum yum we expected, we preferred a more balance of sour and spicy flavour though. Just like all other Chinese restaurants, side dishes priced between $3.80 and $5.80 were available. The sides dishes weren’t exceptional and included Pork Belly Pau ($4.80) that came in Original and Spicy flavours, 5 Spices Beef ($5.80), Floral Century Egg ($4.80) and Beancurd Strips ($3.80). We enjoyed the Thai Milk tea selection with the option to choose our sugar level (finally!). Most of the drinks were available in 2 sizes: Regular and Large (at an additional $0.40- $0.60). 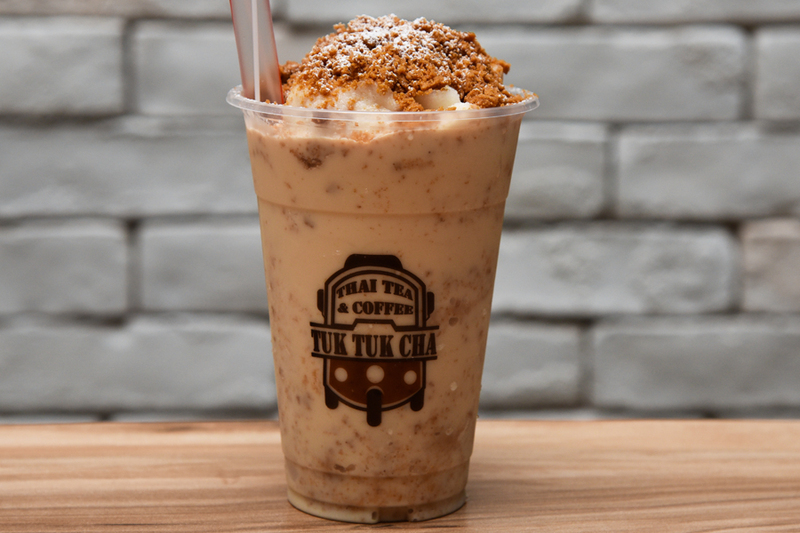 While Thai Milk Tea could be commonly seen everywhere these days, Tuk Tuk Cha’s version were well balanced, both in taste and texture. At the entrance of my Tua Tua Cha, we noticed a selection of ordinary looking sandwiches ($3/ $3.20) that could easily disguised as those from supermarkets. 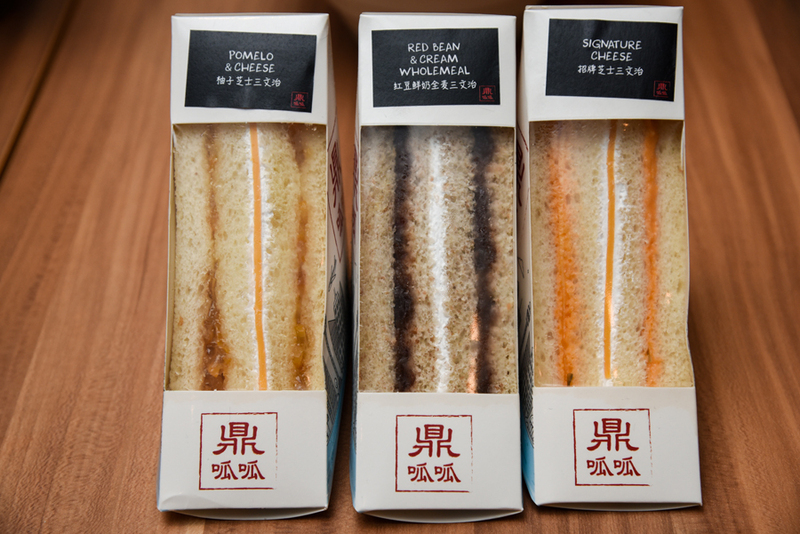 The owners revealed that they got their inspiration from Hong Rui Zhen (洪瑞珍), a popular Sandwich brand in Taiwan. Our Taiwanese friend gave her stamp of approval for the Signature Ham Wholemeal ($3.20) with thin, fluffy omelette and light cream which tasted wholesome. 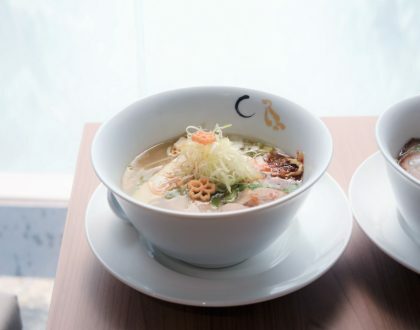 Diners will get to sit down and enjoy their noodles with a cup of coffee Thai Milk Tea, with the occasional fountain performance as entertainment at this outlet. 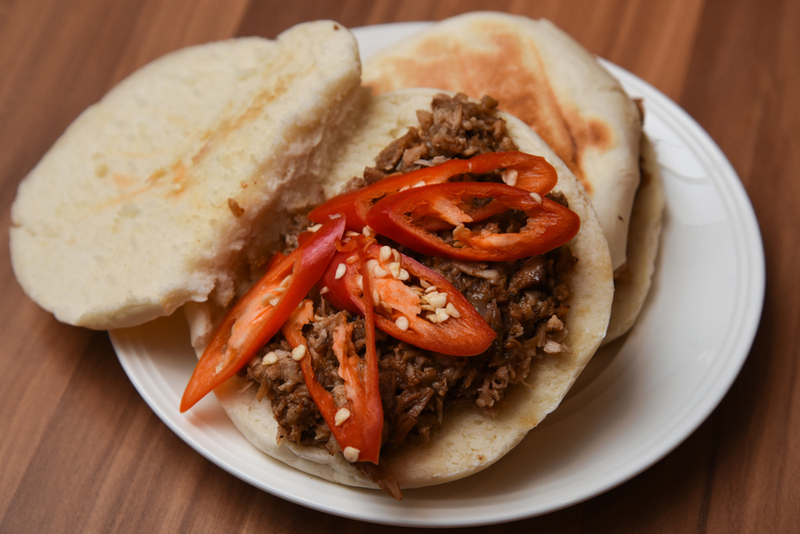 * Written by Daniel’s Food Diary Cafe Correspondent Nicholas Tan. Otherwise known as @stormscape, you can find photos of his cafe adventures on Instagram. Wow, mixture of different cuisine Chinese La mian, Thai Milk Tea and interesting sandwich. I am going to singapore this weekend will go try it out. Thanks for sharing this out.